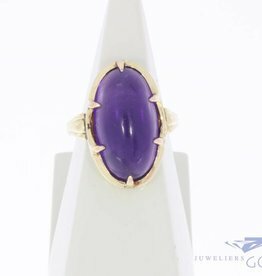 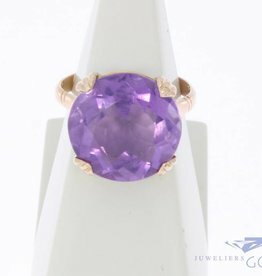 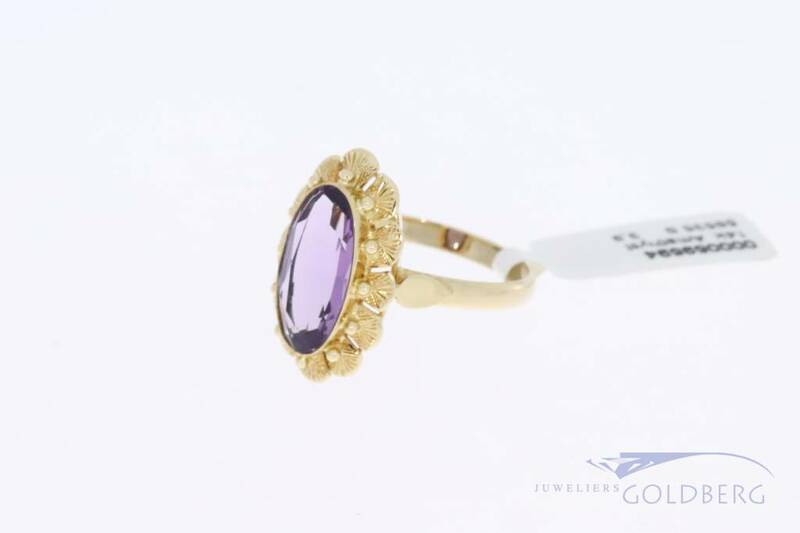 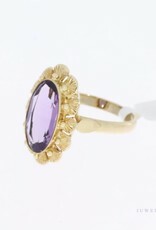 Beautiful, classic 14 carat gold flower-shaped vintage ring with an oval cut amethyst. 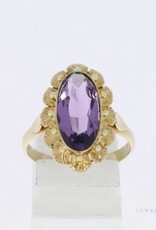 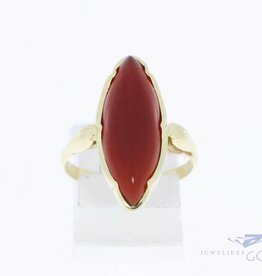 The "flower" on top of the ring is about 20mm long and 12.5mm wide. 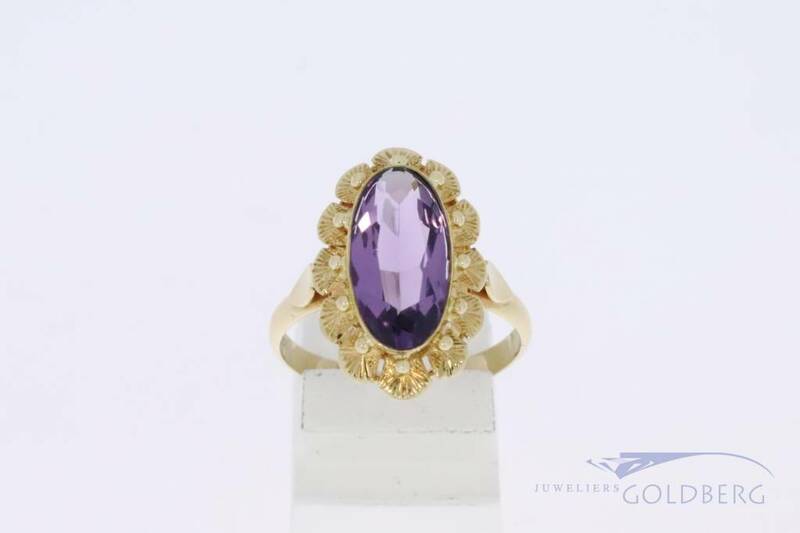 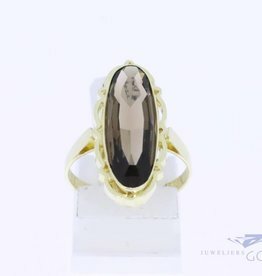 The amethyst itself is approximately 14mm x 7mm. 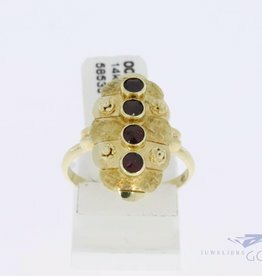 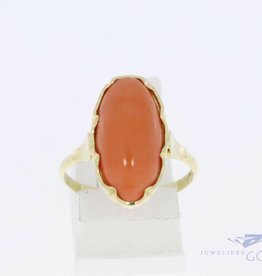 Ring size is 18 (56). 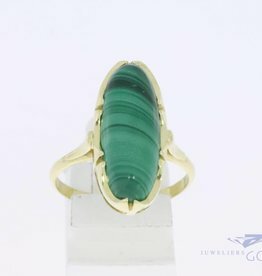 The size can be customized per special request.